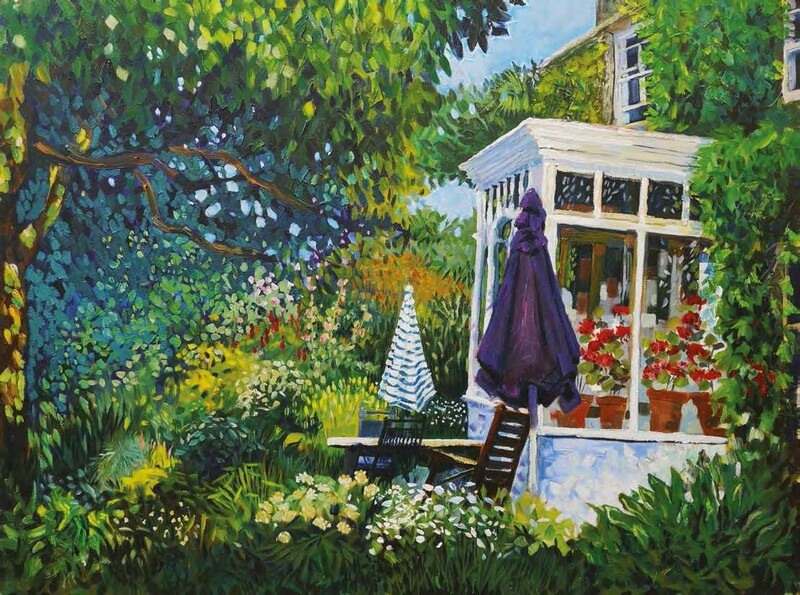 Cornish Summer Garden, water-mixable oil on canvas, 231⁄2x311⁄2in. (60x80cm). I am very attracted to gardens and paint them often. This quintessential cottage garden is in the village where I live. I will start a painting like this with a quick sketch, perhaps a small gouache painting and some photographs then the bigger painting will be worked up from all the references. Since working on the film Loving Vincent (shown in UK cinemas in 2018) and developing an even deeper affection for Vincent van Gogh’s work, I now sharpen my painting skills by making copies of his paintings. While I was working on the film I spent eight hours a day, six days a week for five months studying, mixing the colours and copying Van Gogh’s works then animating them, brushstroke by brushstroke. Studying a painting by one of your favourite artists, and trying to see how they were constructed and created, is an interesting way to practise your brushwork and colour mixing while taking you slightly out of your comfort zone. You can be any kind of painter, from complete beginner to professional, and still benefit from a little artistic keep fit with Vincent! As with everything, you must practise painting and keep practising in order to become confident and happy with your creations, and keep your creative muscles fit and toned. Have fun as you learn to paint with Leisure Painter. 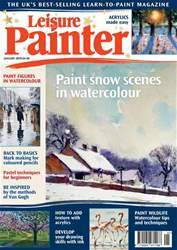 Aimed at beginners and amateur painters, this month's magazine offers step-by-step demonstrations, tutorials, projects from photographs, illustrated techniques and tips and techniques for painting with watercolour, acrylic, water-mixable oils, pastel, coloured pencils, ink and other drawing media. Find out how to paint seasonal landscapes, seascapes, wildlife, flowers and figures. There's also an article on mindful drawing techniques and one artist's experience of painting a large-scale mural on a remote tropical island. Enjoy your month of painting with Leisure Painter.